Kilcullen Heritage Centre was the venue for the 5th annual seminar organised by the Co. Kildare Federation on Saturday last, 6th March 2004. Over 50 delegates, local historians from all over the county and further afield gathered for their yearly meeting to review events of the past year, listen to lectures, generally exchange ideas and hear new plans for the coming year. The event was special and unique because during the course of the day a new book was launched, the first time the federation had done so at its annual seminar. The meeting opened with a welcome to all present from the County Federation chairman, Ger McCarthy. Ger emphasised the importance of the event to local historians throughout Co. Kildare. The seminar was officially opened by the Mayor of Kildare, Mr Michael Fitzpatrick, who complimented Kilcullen on their excellent Heritage Centre and spoke of the importance of local history activities for enhancing the fabric of Kildare society. Michael Fitzpatrick then officially launched the new book, ‘Rising in Kildare ‘Conspiracy, Rebellion and Manhunt in Kildare 1802-1808’. The book written by well-known local historian, Seamus Cullen from Kilcock, deals with the Emmet Rising and in particular included new and hitherto unpublished information with respect to local Kildare people involved in the rising. Michael Fitzpatrick commended Seamus for his dedication, hard work, and professionalism in getting the book researched and into print. Seamus Cullen thanked all who had helped him with the book and particularly thanked his wife Fiona and family for their support. The rest of the day was given to a series of lectures from local historians from within the County Federation. 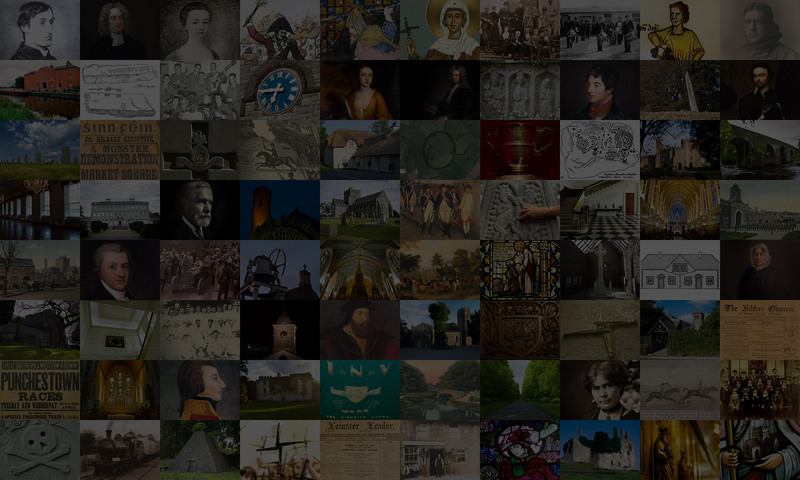 Thirteen history societies from Kildare were represented, namely Naas, Kildare, Timahoe, Donadea, Kilcullen, Athy, Newbridge, Celbridge, Clane, Maynooth, Curragh, Kill and Kilcock. Maeve Maloney from Maynooth talked about ‘Sources for researching your own school’ with the beautifully told story of her own school in Co. Galway. Mary Ryan from Newbridge revisited her book on the ‘Clongorey Evictions’ producing a previously unknown old Clongorey map unearthed by Mario Corrigan at the Kildare Riverside Local Studies Centre in Newbridge. Liam Kenny from Naas captivated the audience with the very entertaining and informative talk on the first ever Co. Kildare local elections in his presentation ‘From Sealing Wax to Electronic Voting.’ After lunch Adrian Mullowney from Kildare Historical Society gave an update on the federation website, explained its benefits and encouraged all the groups to use it. Brian McCabe from Kill intrigued the delegates with some of his own personal reflections on his recent studies of the ‘Last Issues of the Celtic Times’. The last presentation was by Frank Taaffe from Athy who spoke on the Rev. Thomas Kelly and the Kellyites. Frank gave a very compelling presentation on a most interesting Kildare man almost forgotten in the course of Irish history. The group then held what is affectionately known as their ‘Society Spake’ when a general discussion took place with participation from all the local history groups on the activites of the past year and plans for 2004. Larry Breen, Naas Local History Group and MC for the day thanked all concerned for a very interesting, informative and highly entertaining day for local history in the county. The Co. Kildare Federation of Local History Groups will hold it’s Annual Seminar at the Heritage Centre, Kilcullen, on Saturday 6th. March 2004. All, members and non-members alike, are welcome to attend. 10:30 am Welcome. Ger Mc Carthy. Chairman, Kildare Fed. of Local History Groups. Official Opening. Michael Fitzpatrick. Mayor of Kildare. 10:45 am New Book Launch. ‘Rising in Co. Kildare – Conspiracy, Rebellion and Manhunt in Kildare. 1802 – 1808’. Official launch by Michael Fitzpatrick Mayor of Kildare and author Seamus Cullen. 11:20 am Talk – Maeve Moloney. Maynooth Local History Group. “Sources for Researching your own Local School”. 11:40 am Talk – Mary Ryan. Newbridge Local History group. “The Clongorey Evictions”. 12:00 am Talk – Liam Kenny. Naas Local History Group. “From Sealing Wax to Electronic Voting – Kidare’s First Local Elections”. 1:45 pm ‘Society Speake’ News and views from the groups. 2:15 pm Talk – Adrian Mullowney. Cill Dara Historical Society. “Federation Website”. 2:35 pm Talk – Brian Mc Cabe. Kill Local History Group. “The Last Issues of the Celtic Times”. 3:00 pm Talk – Frank Taaffe. Athy Heritage Centre. “Rev. Thomas Kelly and the Kellyites”. It would be appreciated if Groups would contact Larry Breen at 045-897445 by 3rd. March with numbers attending the Seminar.